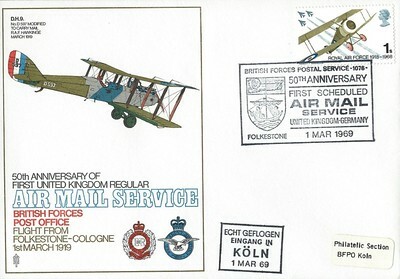 Flight from Folkestone - Cologne 1st March 1919 - see British Pathé video. 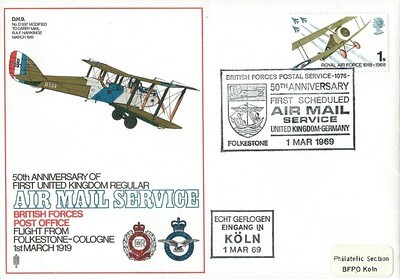 Note: Special Handstamp Error. 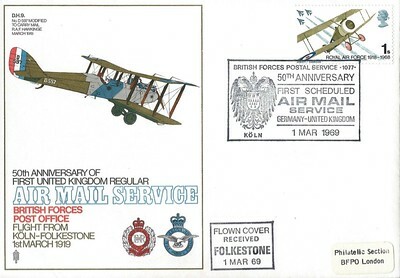 SHS BFPS 1077, instead of 1076, has been used to cancel the stamp. 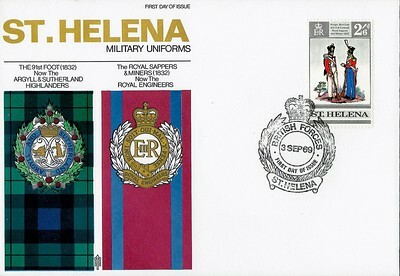 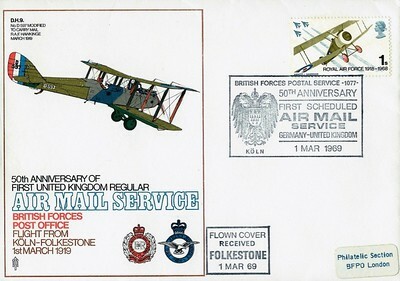 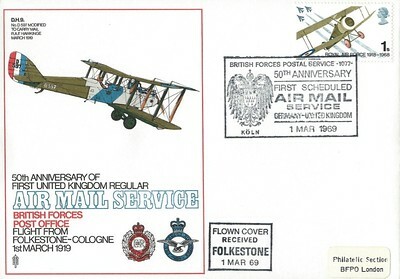 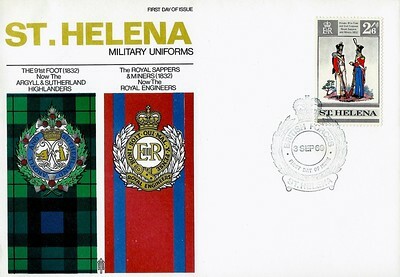 The cover has also been given the wrong cachet "Flown Cover Received Folkestone 1 MAR 69" instead of "Echt Geflogen Eingang in Köln 1 Mar 69".